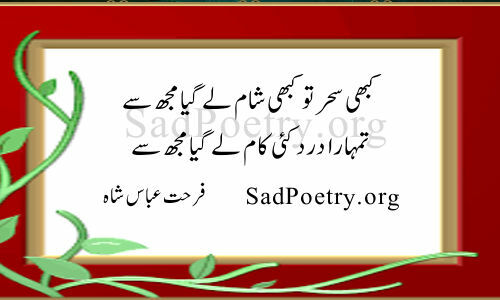 Read our latest collection of Farhat Abbas Shah poetry and ghazals. 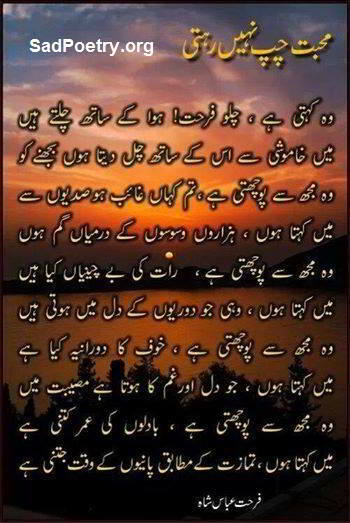 He is famous poet of Pakistan and is best known for his love poetry. 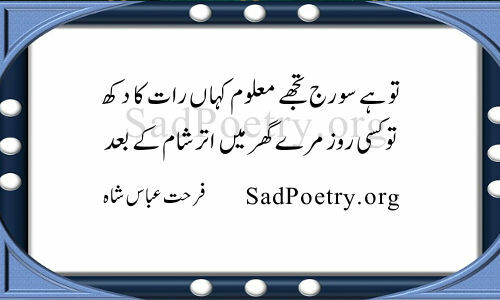 Enjoy our ever increasing collection of his love shayari and ghazals. You can also submit poetry to help us increase our poetry collection. 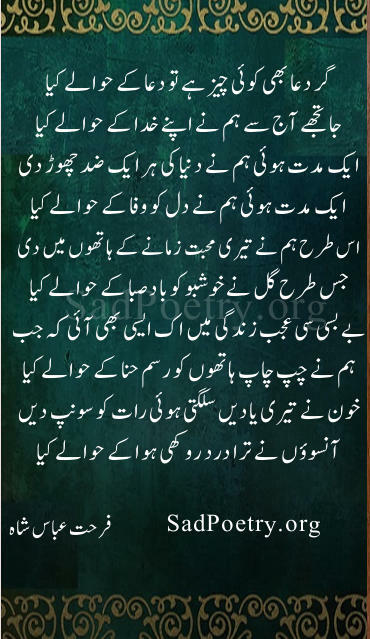 Ghar ki aik aik dewar pay likh gaya , Zindagi thak gaye.